A Kenyan Refugee camp described as the world’s largest has been threatened with closure following a court ruling. The camp which was initially set up for 160,000 people has seen the numbers rise due to famine. The Kenyan government believe the camp was a hotbed for terrorist attacks and stated that it had to provide security for all Kenyans, not just those in the camp, hence the closure. Refugee’s born there expressed to CNN their relief that the camp is closed. Human rights groups have also applauded the court’s decision. The actual closure of the camp was initially planned for 30 November 2016, the government announced a six-month delay on humanitarian grounds. Judge John Mativo said that the closure violated the country’s constitution and that the government’s repatriation plans are arbitrary, he said that it was discriminatory and undignifying. 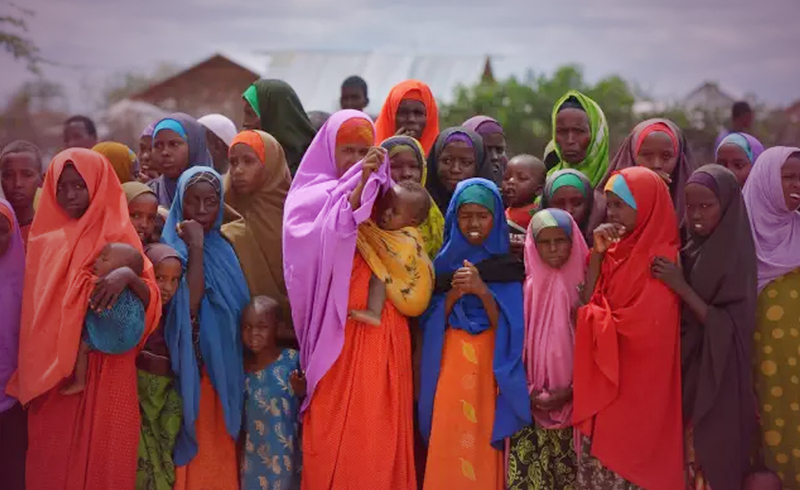 A spokesman for Kenya’s Interior Ministry said the court’s judgment did not impact an ongoing voluntary repatriation program that has already seen 46,000 Somali refugees return home over the past six weeks. The Kenyan government says it will appeal. The cards drawn are the Moon, the Eight of Wands and the Six of Pentacles. This represents the camp itself, and its increased numbers. Sadly, the rising numbers of inhabitants added to the issue of security. The uncertainty around the camp forced the government to step in and make changes based on what they knew. This represents the refugees and their challenging situation. This card says that swift action is demanded with a sense of working with governmental decision. This represents the voluntary organizations with the best intentions. The sense of generosity within this card will continue to give for as long as it is needed. Collectively, the cards reveal the demise of the camp, but there is an optimism that the refugees will find a something to replace it. They are wished the best. Previous ArticleOscar nomination for Natalie PortmanNext ArticleAnother Oscar Nomination for Nicole Kidman!